Integrated Reporting – could system and holonomic thinking help? 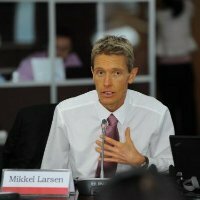 Mikkel is the Group Head of Tax and Accounting Policies at DBS (Development Bank of Singapore) and in a personal capacity he is the chair of the IIRC banking group (The International Integrated Reporting Council). After reading Holonomics Mikkel got in touch to discuss jointly how holonomic thinking can inspire the development of new more holistic measures for “integrated reports” which articulate how companies can provide long term sustainable value. According to early adopters, the benefits of lie in its process, which goes beyond the report itself. This process provides a valuable tool to foster and embed integrated thinking within an organisation. Meaningful – Understanding how shared meaning emerges in the organisation over time, allowing the organisation to be able to become agile, efficient and transparent – an authentic whole. Ethical – Understanding how human values are the foundation of authenticity, agility and change. One of the challenges of writing our paper was that Mikkel and I were continually mindful of the fact that we were introducing systems thinking and holonomic thinking to an accountancy audience for the first time, and we wanted to focus on the practical aspects without diving too deeply into the theoretical aspects. With this in mind, I thought that in this article I could offer some insights as to how I think Integrated Reporting could potentially evolve in the coming years taking our report as the starting point. 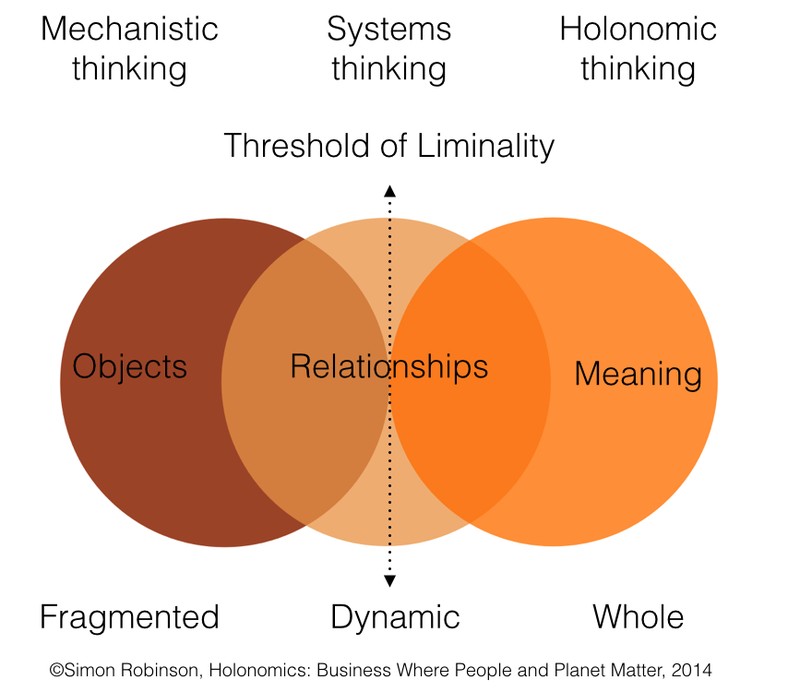 The figure above, taken from chapter one of our book Holonomics, shows the way in which both mechanistic thinking and systems thinking are an integral part of holonomic thinking. The trick is to be mindful enough to always be aware of when each form of thinking is being utilised and why. Complex systems are intrinsically hazardous systems. Complex systems are heavily and successfully defended against failure. Catastrophe requires multiple failures – single point failures are not enough. Complex systems contain changing mixtures of failures latent within them. Complex systems run in degraded mode. Catastrophe is always just around the corner. Post-accident attribution accident to a ‘root cause’ is fundamentally wrong. Hindsight biases post-accident assessments of human performance. Human operators have dual roles: as producers & as defenders against failure. All practitioner actions are gambles. Actions at the sharp end resolve all ambiguity. Human practitioners are the adaptable element of complex systems. Human expertise in complex systems is constantly changing. Change introduces new forms of failure. Views of ‘cause’ limit the effectiveness of defenses against future events. Safety is a characteristic of systems and not of their components. Failure free operations require experience with failure. Safety is an emergent property of systems; it does not reside in a person, device or department of an organization or system. Safety cannot be purchased or manufactured; it is not a feature that is separate from the other components of the system. This means that safety cannot be manipulated like a feedstock or raw material. The state of safety in any system is always dynamic; continuous systemic change insures that hazard and its management are constantly changing. Cook’s list of causes of failure also draw our attention to the fact that we need a systemic way of conceptualising and modelling complex systems, including organisations. 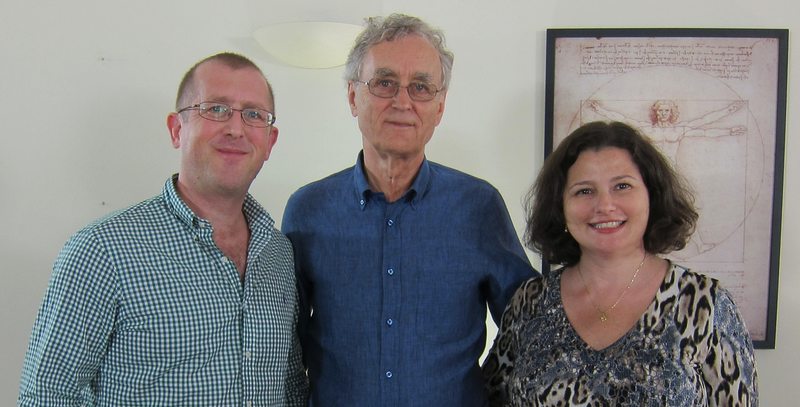 As many of you will have seen, Maria and I were able to spend some time with our good friend Fritjof Capra while he was in São Paulo recently. When we view an organisation as a living system, they are seen as integrated wholes whose properties cannot be reduced to those of smaller parts, such as business units, divisions, profit centres, teams. In the process of developing financial reports, are organisations employing teams with single MBA-style mindsets, or does the organisation have a genuinely multidisciplinary team with the requisite modelling as well as measuring capabilities? In a systems perspective, it is not the objects which are primary, but their relationships, hence integrated reports should have their focus on these networks rather than a more mechanistic conception. Relationships cannot be measured, they have to be mapped, a methodology which reveals patterns within networks. Traditional measures alone can not capture patterns such as networks, cycles and boundaries. Complexity theory has developed a new mathematics of visual patterns, a qualitative technique which maps relationships. Organisations now have access to both qualitative analytical techniques which can complement the quantitative. Living forms are not static structures, but ones in which form is maintained via a continual flow of matter. Integrated reporting should therefore recognise the developmental and metabolic processes of the organisation. Heisenberg wrote that “what we observe is not nature itself, but nature exposed to our method of questioning”. If an organisation is seen as a network of relationships, it will always be the case that what we demarcate with boundaries will always have an element of subjectivity. Our method of questioning therefore has to be made explicit in our reporting. The systems paradigm recognises the limitations and approximations in any concepts and models. If we can acknowledge that we can never fully deal with the truth, and that there is never a precise relationship between our descriptions and the phenomena being measured and reported, we can become more open to the understanding of the need for continual refinement and improvement of our reporting over time. The final step into holonomic thinking is the act of ‘going upstream’ into the act of seeing itself, where objects lose their material nature and we focus more on the quality of continual becoming, as opposed to a static solid state of being. I am well aware that this may sound deeply philosophical, and it is an extremely hard conceptual step to take, hence holonomic thinking is the other side of the threshold of liminality. The reason is that making it upstream requires an expansion of consciousness, an expansion which requires us not read philosophy but to do philosophical work to get there. We wrote Holonomics as a practical guide to facilitate profound organisational and personal change and so in it we provide many experiential exercises which can take people upstream. 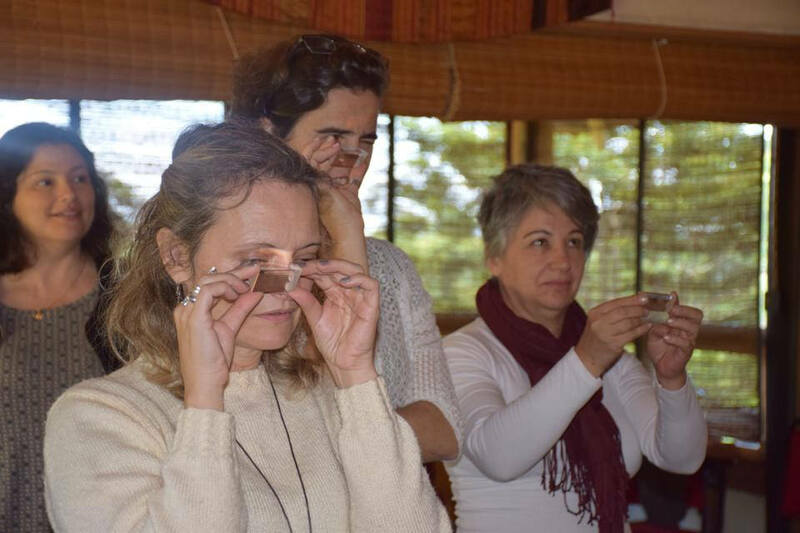 One example is playing with prisms and comparing Goethe’s theory of colour with Newton’s conception of light, as can be seen in the photo above which was taken at a recent immersive course in holonomic thinking last year in partnership with Instituto Játobas. 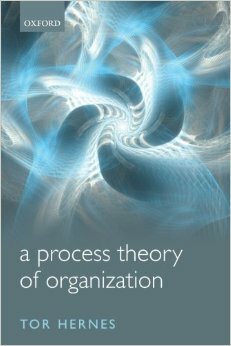 At the same time that Holonomics was published, organisational theorist Tor Hernes also published A Process Theory of Organization in which the reader also has to go upstream to comprehend this new process-based conception of organisations. Hernes has taken inspiration from many great process and phenomenological philosophers, notably Henri Bergson, Martin Heidegger, Alfred Schütz, George Herbert Mead, Gilles Deleuze and Alfred North Whitehead in particular. There is a conceptual switch to be made in this process view of the organisation, in which organisational is not seen as a fixed and stable entity which is the context for action and thinking, but rather than actions are what make the organisation. The same is true for people, whose identities emerge from processes and not vice-versa. As Hernes writes “everything is in the process of becoming, perpetually”. The way in which we experience time and understand temporality are central questions in the process view, and so we can examine how both the past and the future are brought into the present and are therefore as seen as having agency. Time is seen as an active “vital force of becoming” which has the power to shape things – people, technologies, concepts etc. We therefore start to pay attention to how what happens at one event “creates and re-creates that which happens at other events, past and future”. A mechanistic view of organisational life sees organisations as adapting to the environment, and the analysis conceptualises the environment as changes between consecutive stable states. But when reality is conceived in a state of continual flux, the question inverts, and so it is stabalisation, the way in which organisations achieve stability, which is the focus and which has to be explained, and not change. Hernes, like Maria and I, takes a phenomenological approach, whereby “understanding comes from acts of experiencing”. Stable configurations are then seen as elements which are continually connecting and re-connecting into meaningful wholes, which are revealed to us through our experience. Ultimately, there are huge implications not only for how we conceive of organisations, but also for the very nature of the concept of an integrated report. In the process view, form and life are processes which “are not the antithesis of one another, but forces that play out in time”. If organisations consist of elapsed moments, then many philosophers such as Bergson and Mead point to the fact that any attempt to re-create or model them will be counterfeit versions, since they are only given meaning in retrospect. But as Hernes points out at the start of his book, process is more a disposition than a theory or a model, reflecting the way in which The Systems View of Life points to approximate knowledge and Holonomics ultimately is an expansion of consciousness. Integrated Reporting is also a deeply transformative process, and therefore it is wonderful to see so many organisations now realise just how powerful and important it can be.